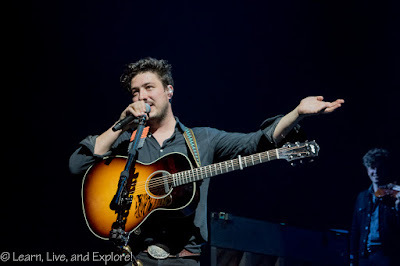 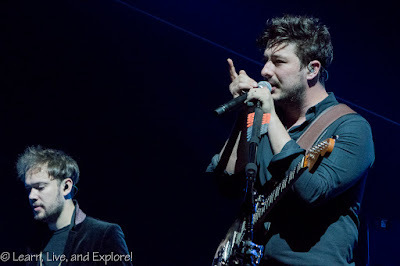 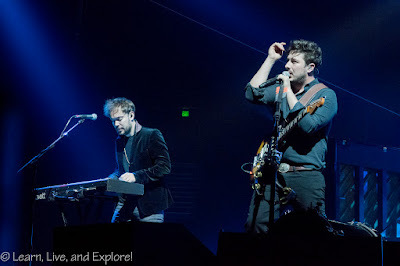 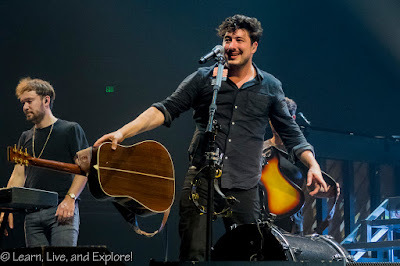 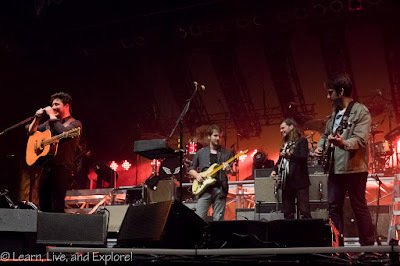 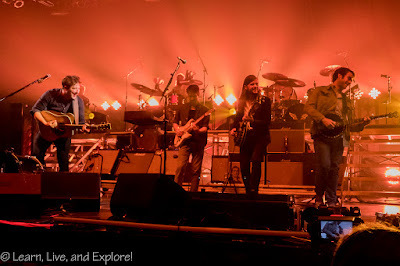 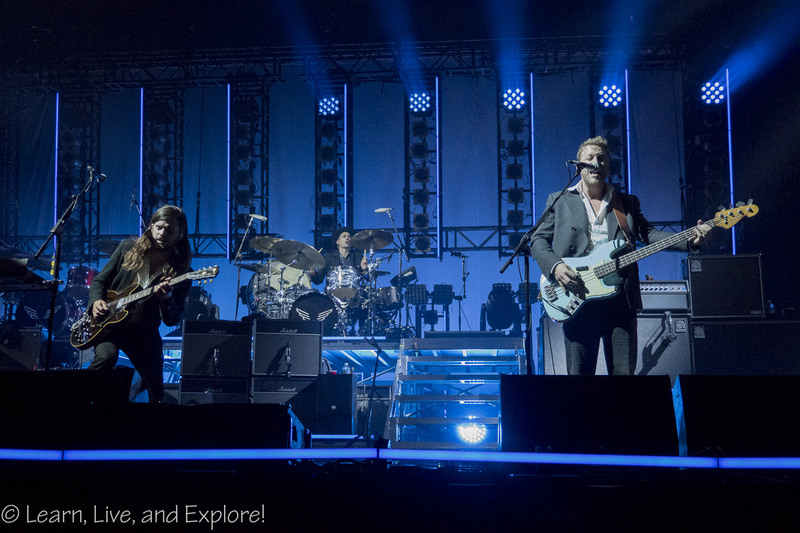 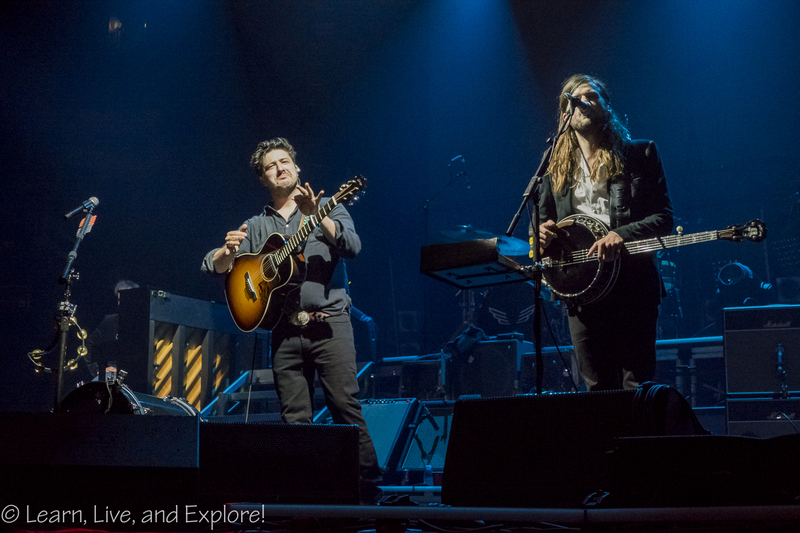 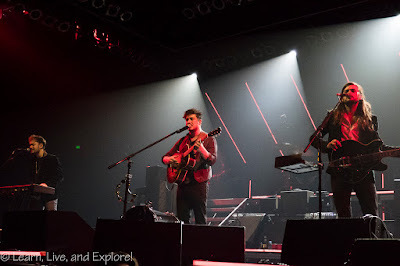 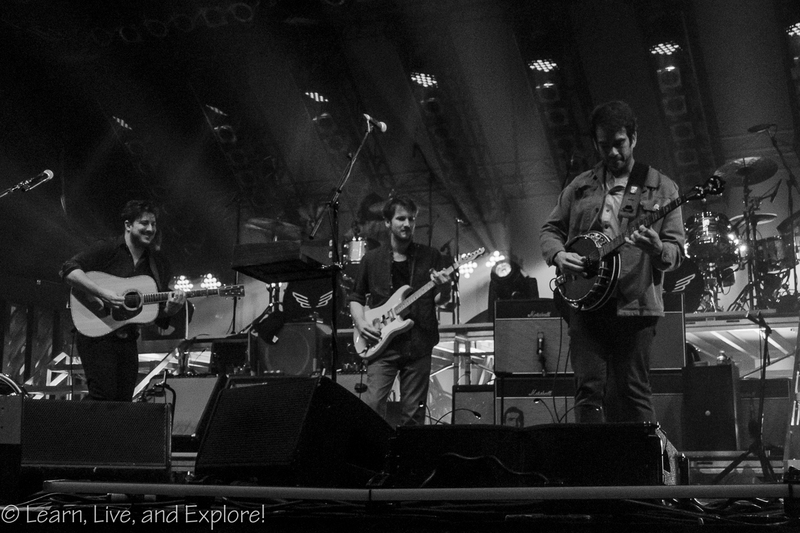 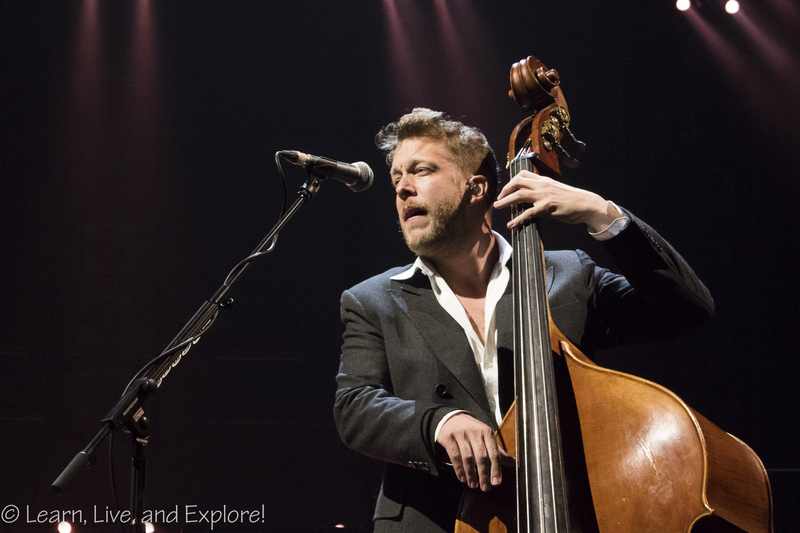 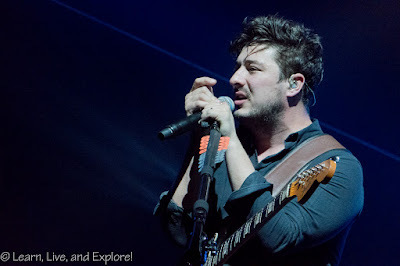 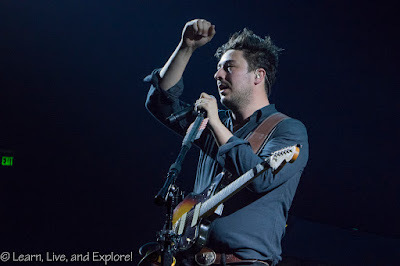 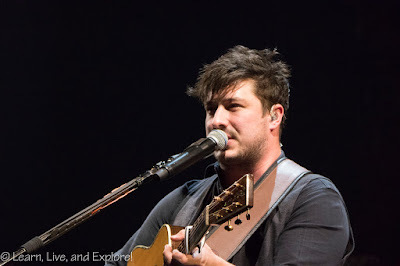 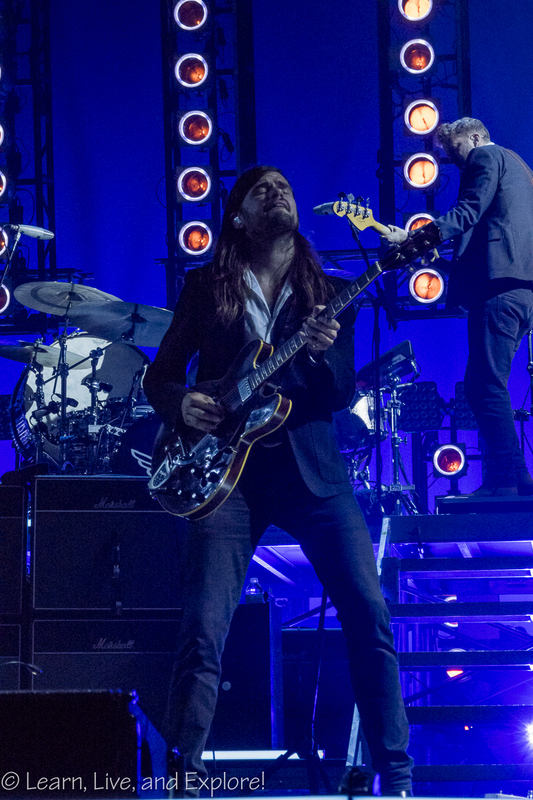 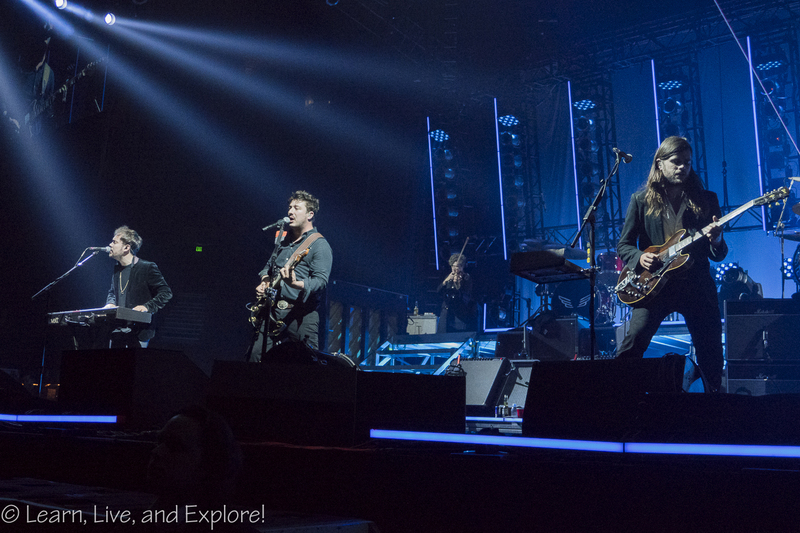 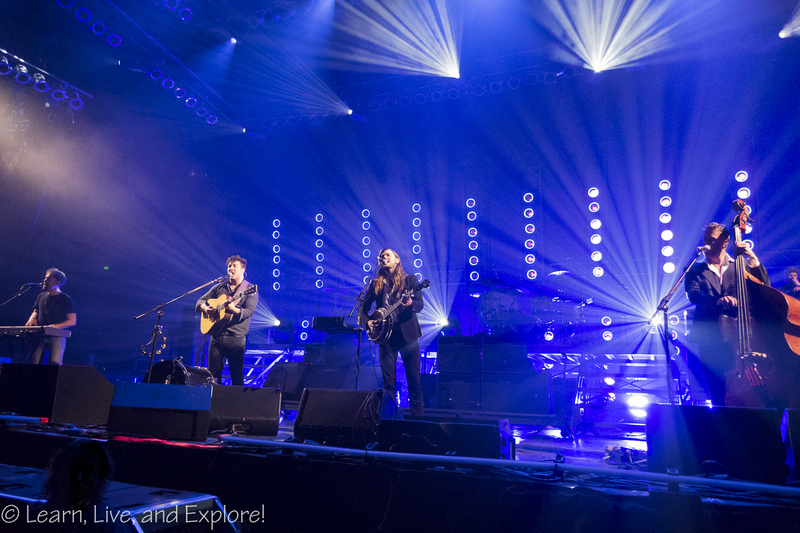 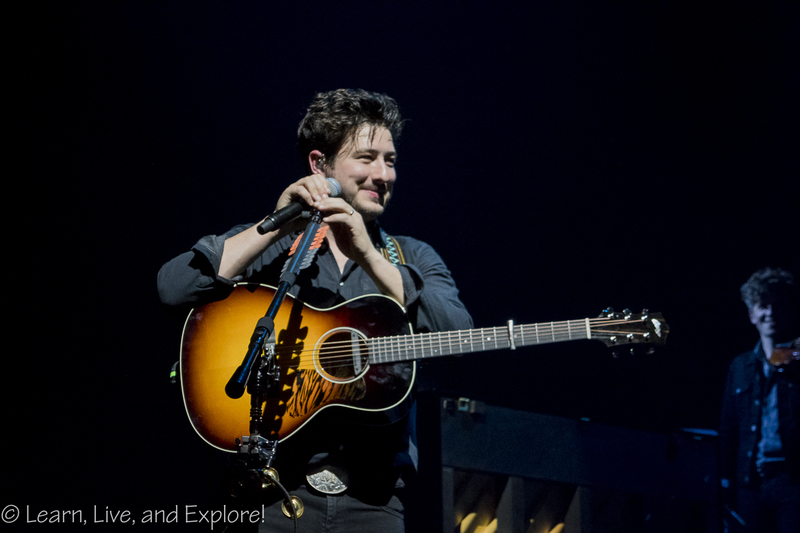 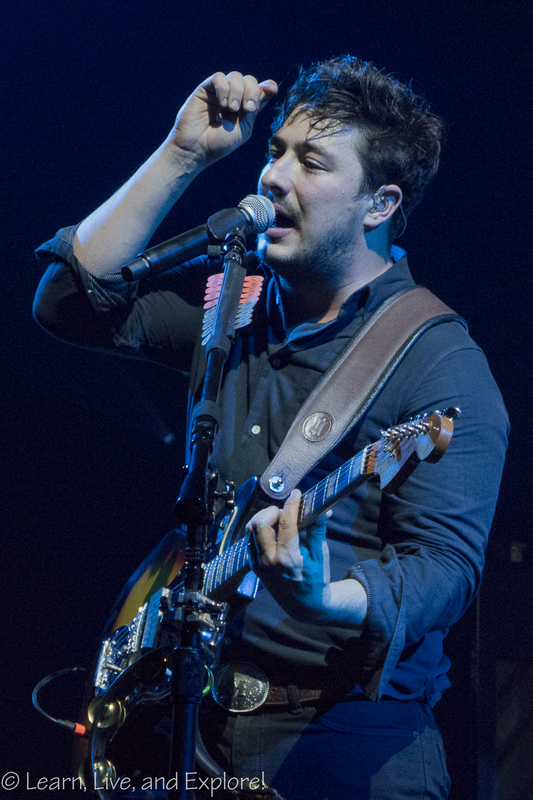 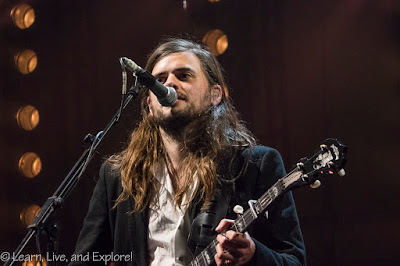 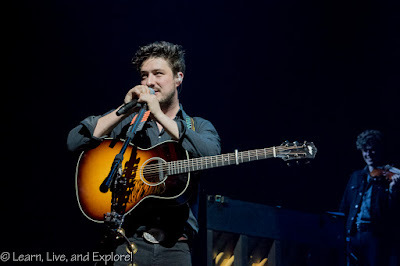 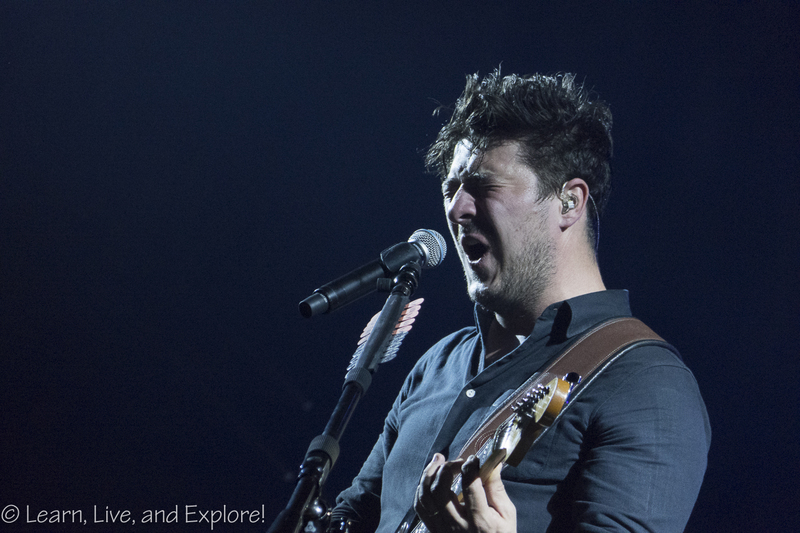 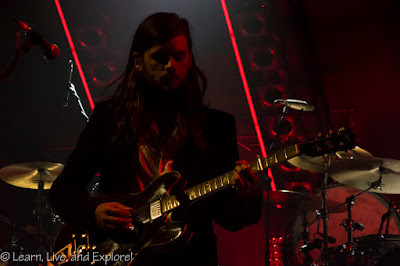 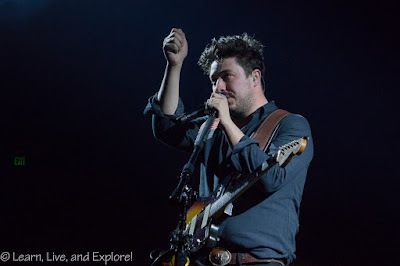 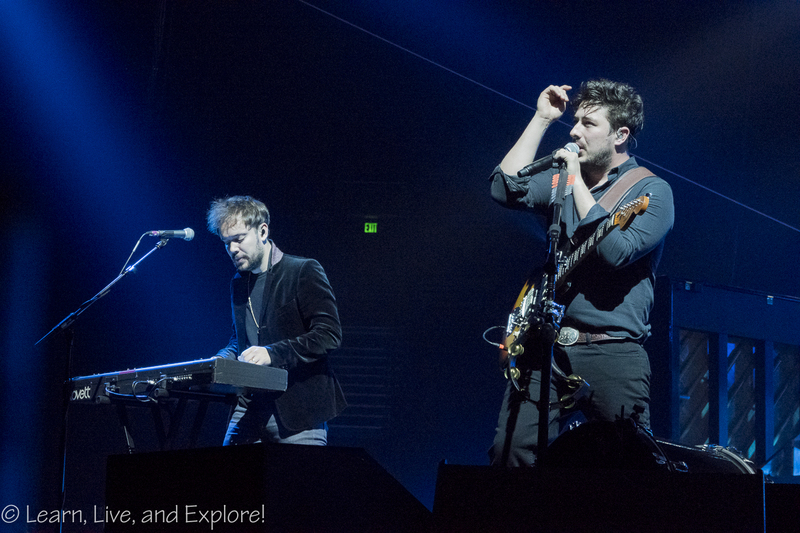 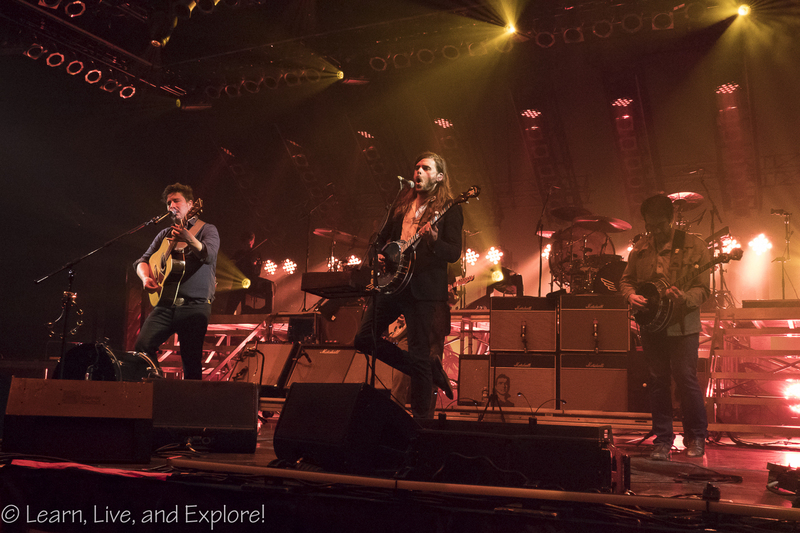 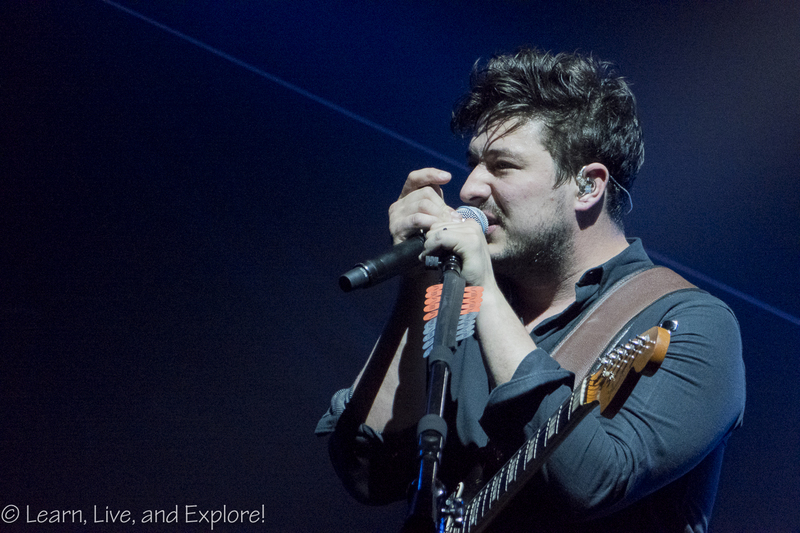 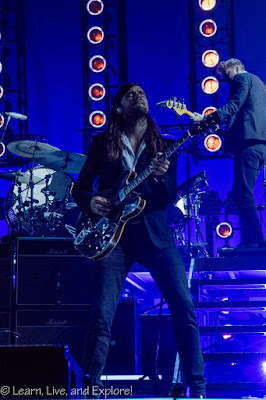 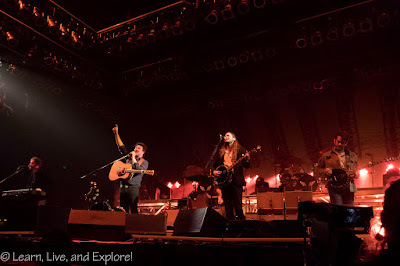 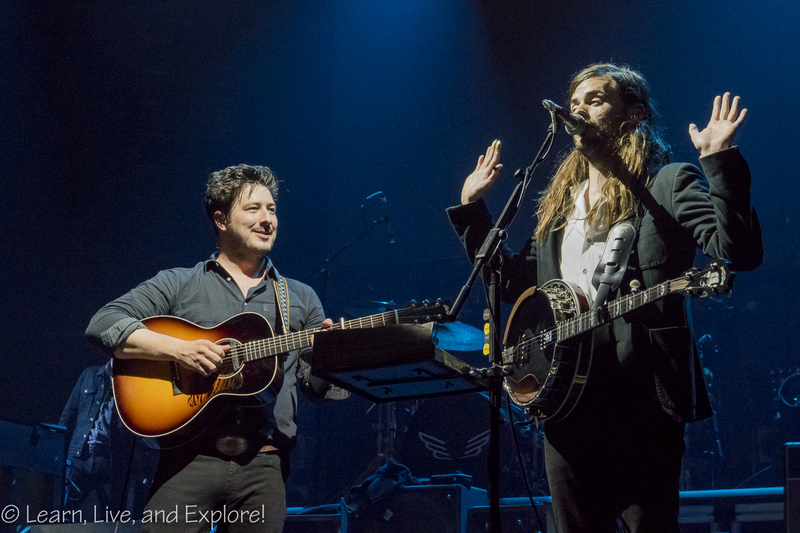 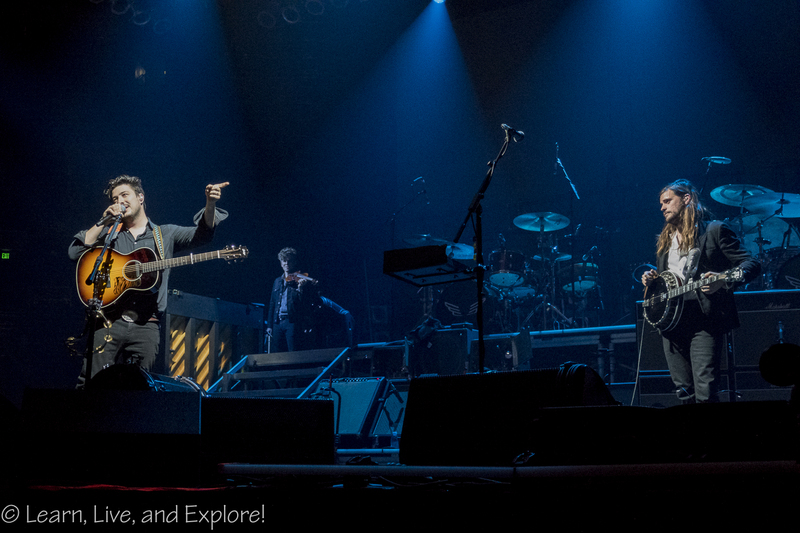 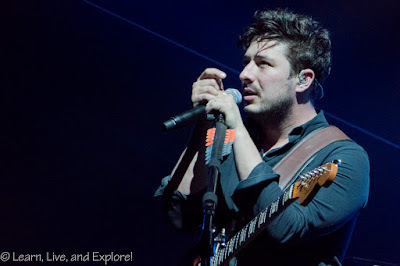 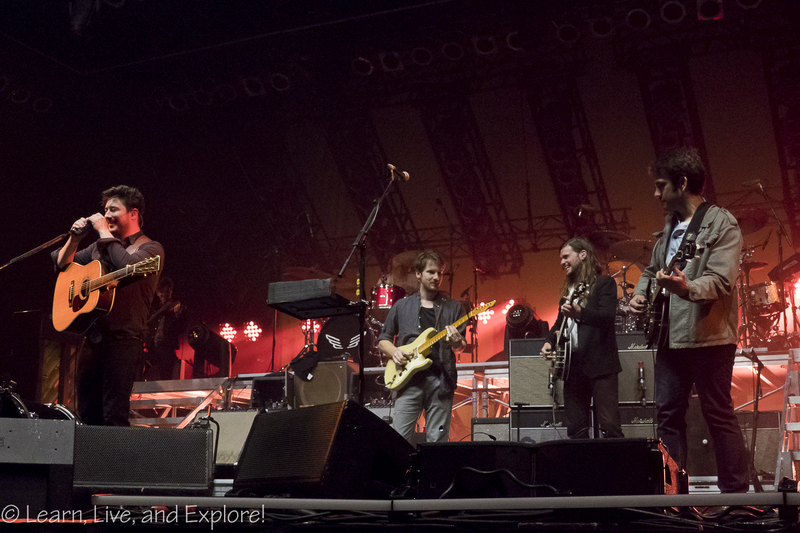 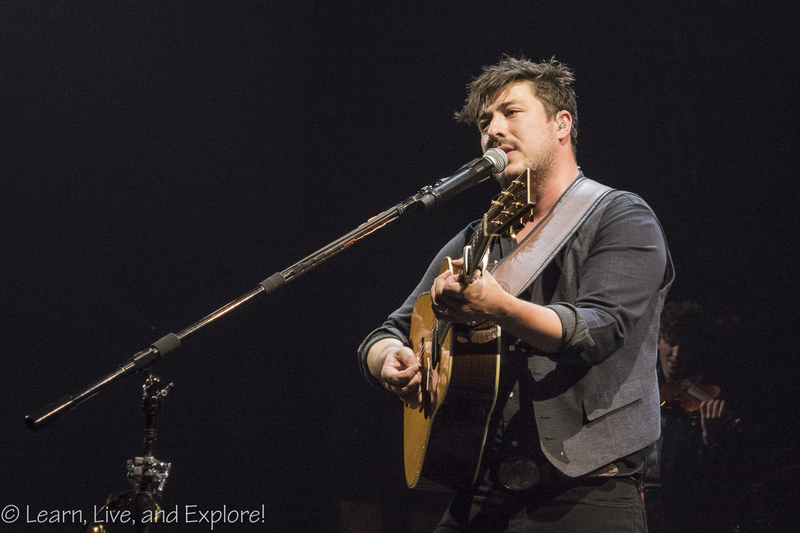 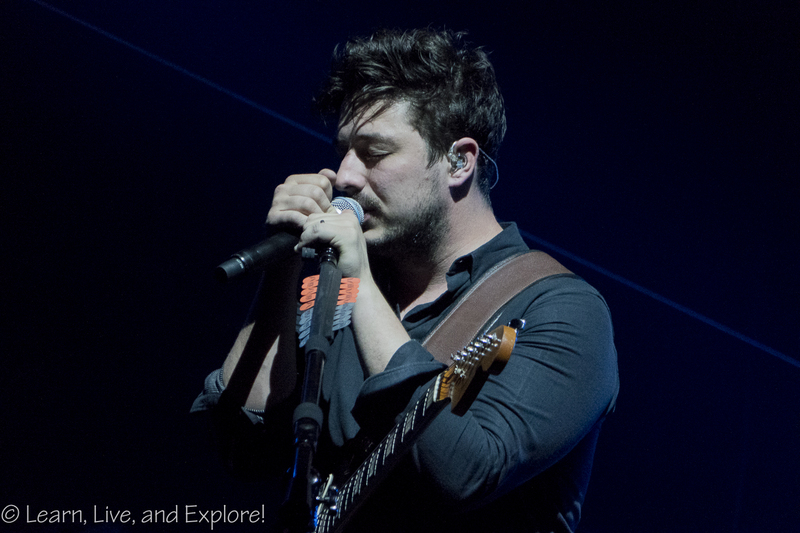 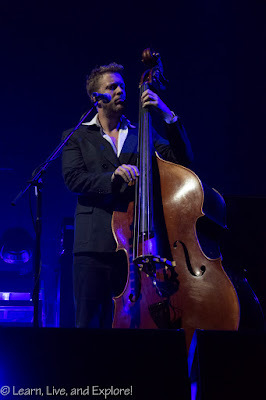 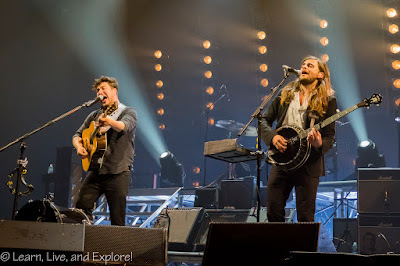 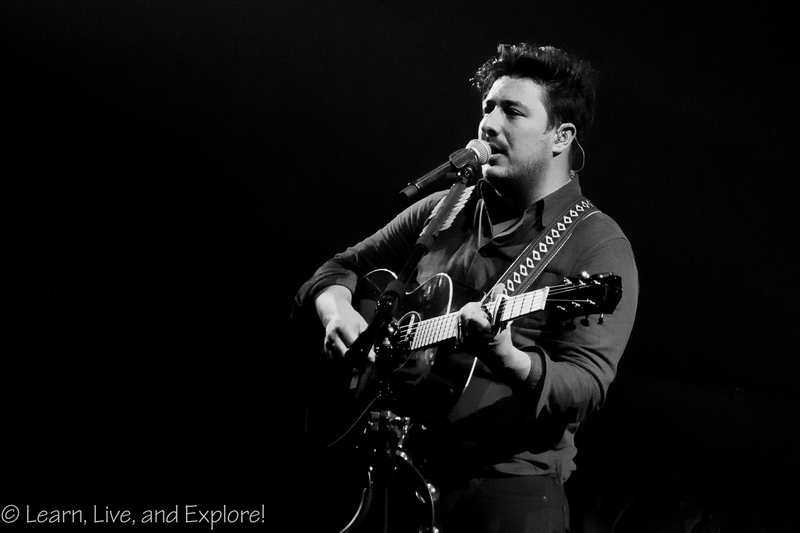 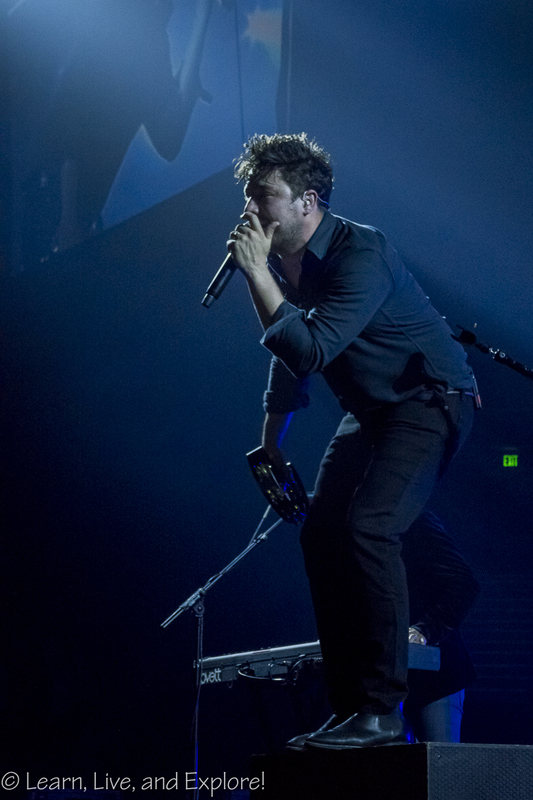 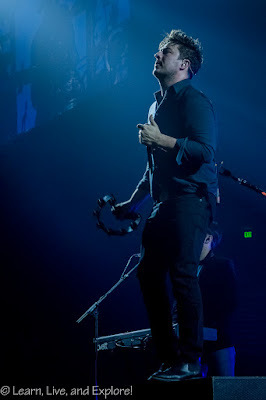 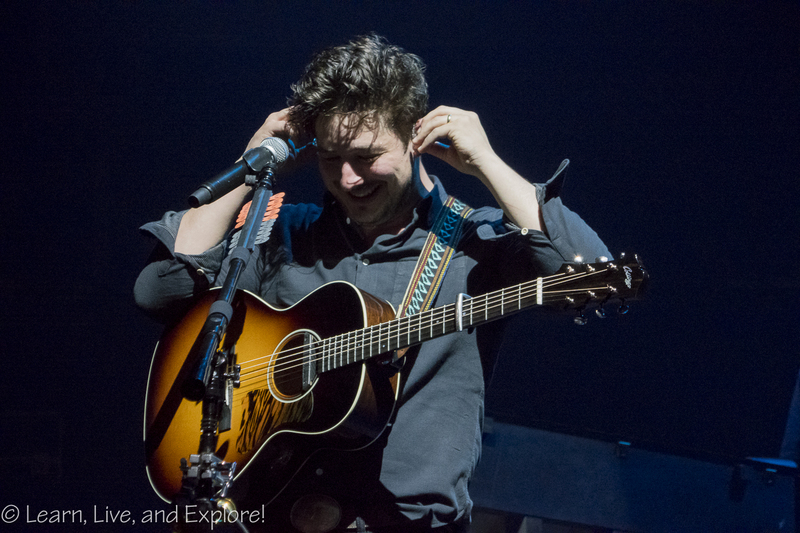 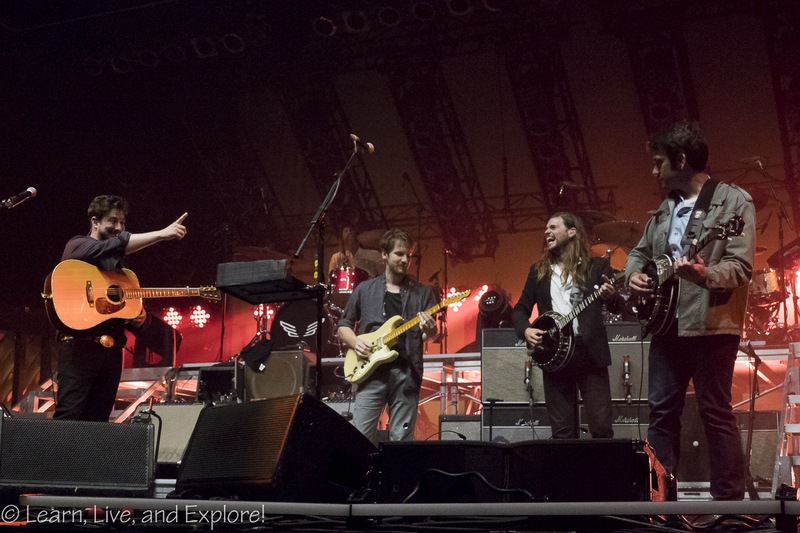 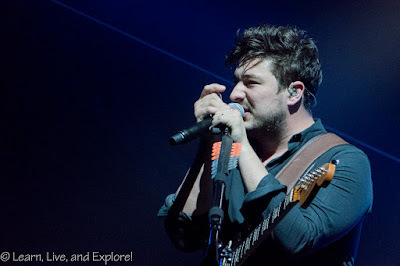 Mumford & Sons in Music City ~ Learn, Live, and Explore! 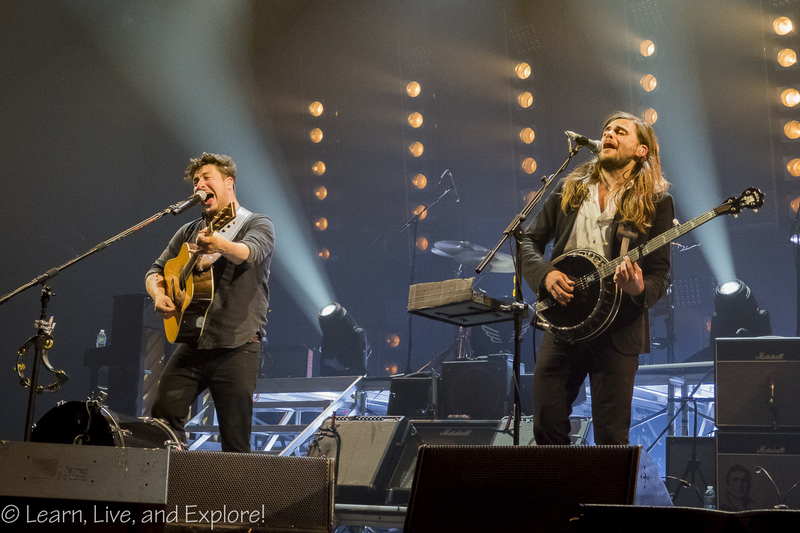 About a year ago, I had the pleasure of meeting some great women at a small gig Mumford & Sons concert in NYC who have since become friends. 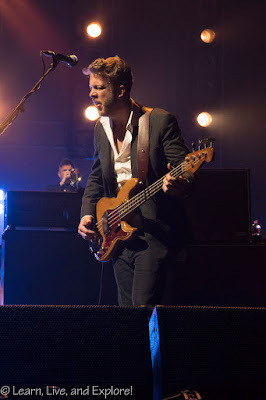 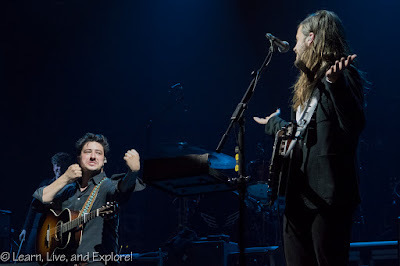 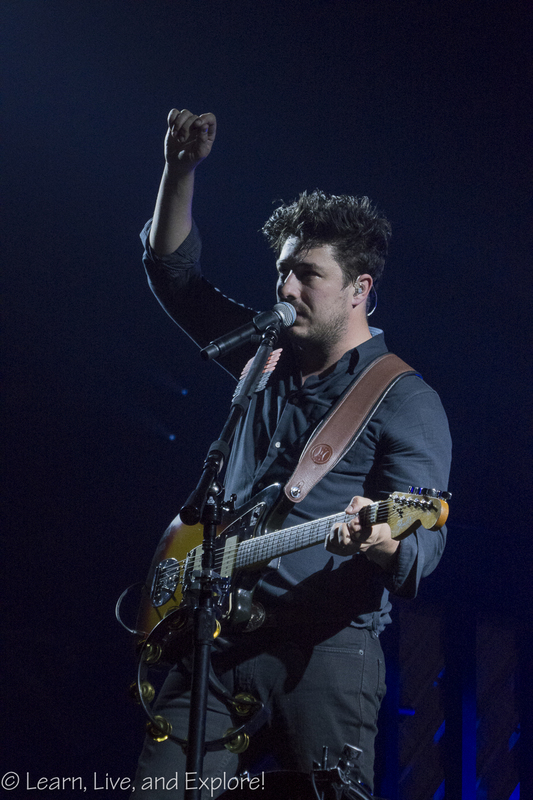 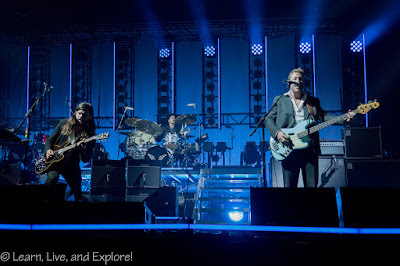 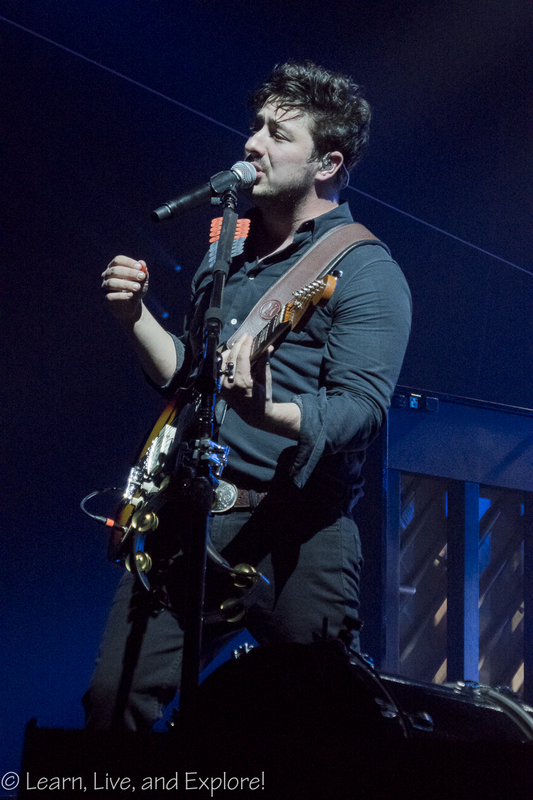 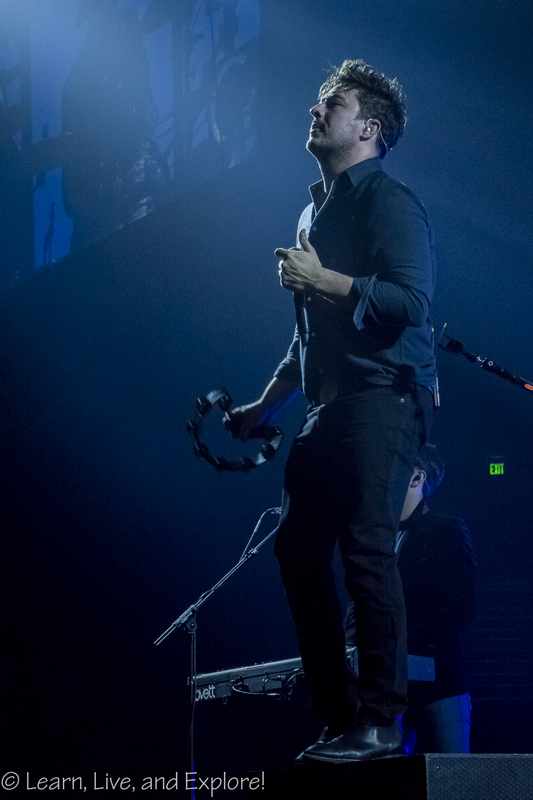 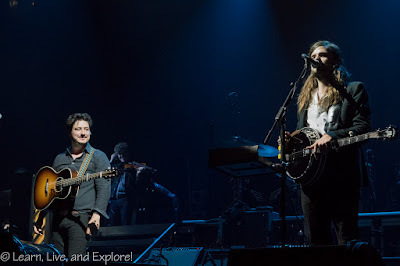 To celebrate our 1 year anniversary, our "Mumfriendiversary," we all traveled to Nashville this past weekend to share another Mumford & Sons concert experience at the Bridgestone Arena in the heart of downtown Music City. 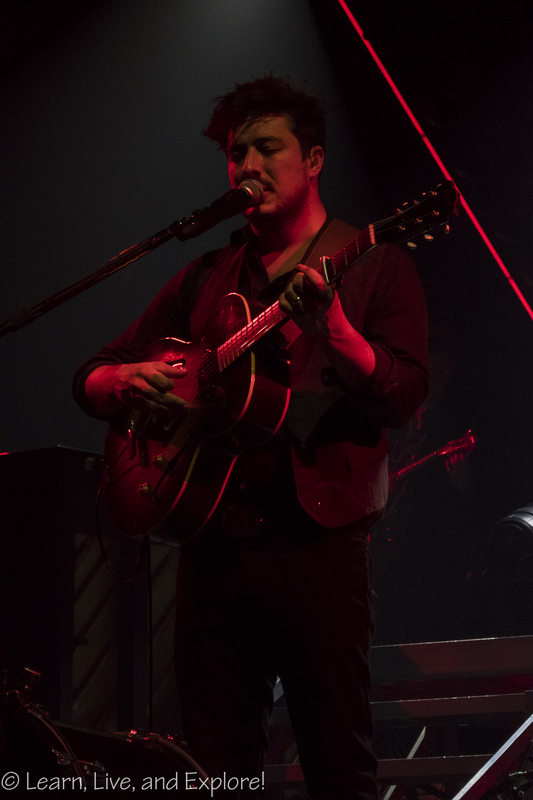 After the concert, we headed over to The Basement to check out The Filthy Six performance, a band that includes some of the horn players from Mumford's backing band. While there, we found some time to have a fun conversation with the Mumford violinist (Tom) and drummer (Chris). Very sweet London lads! 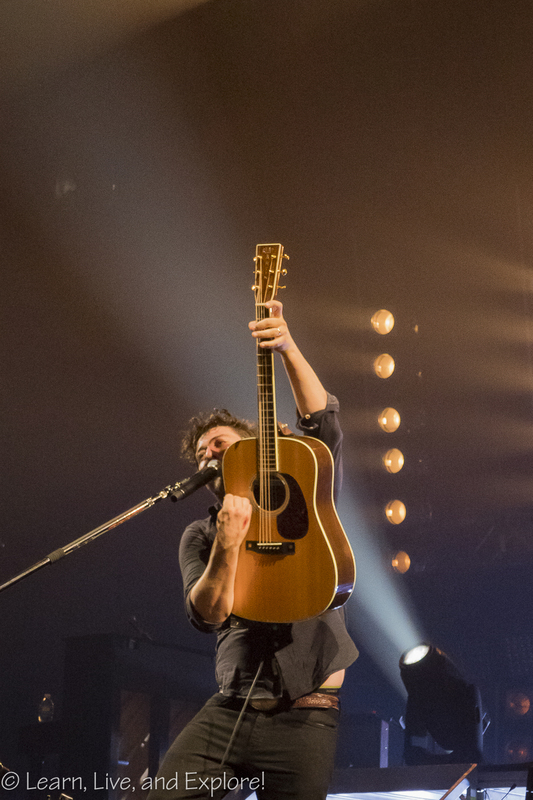 Back to the concert. 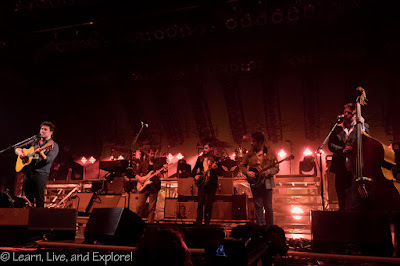 We had general admission tickets, so we were committed to spending the day in line to ensure we were up front on the rail, next to the stage. 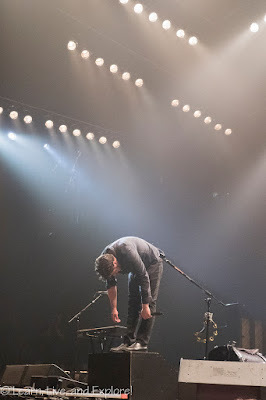 After waiting for 8+ hours (it wasn't bad - we took breaks and bought some cheap folding chairs), there was a bit of an incident right as doors opened, but it all turned out as planned. 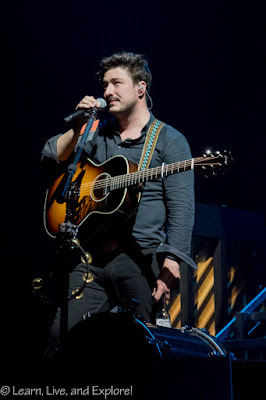 Speaking of planning, I also upgraded my point and shoot camera that I use for concerts, or other venues with restrictive camera policies, right before I headed to Nashville, and I couldn't be more thrilled with the photos (Panasonic Lumix DMC-ZS100). 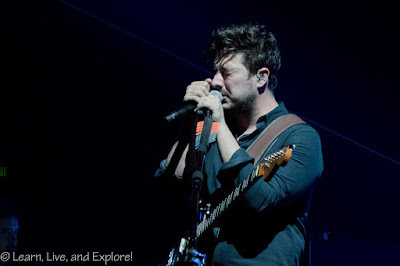 So thrilled, that I have to apologize for the volume of photos that will proceed this write up! 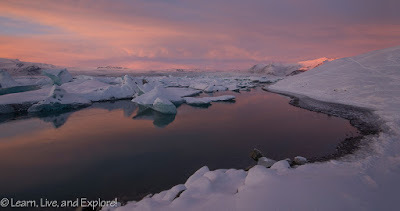 Of course, having a camera with the ISO range and sensor size that helps for low light photography situations is only part of the equation. 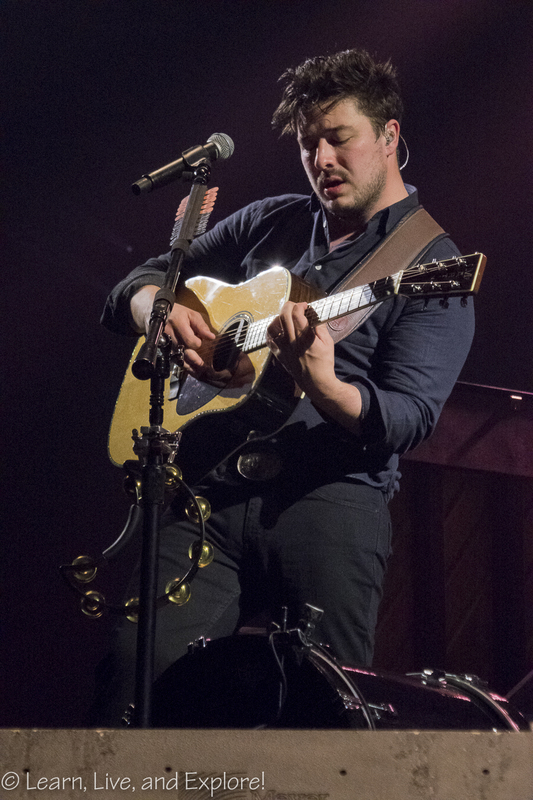 I opted to use the convenience of Shutter Priority mode so I could get some good stop action, with a minimum1/500th shutter speed. 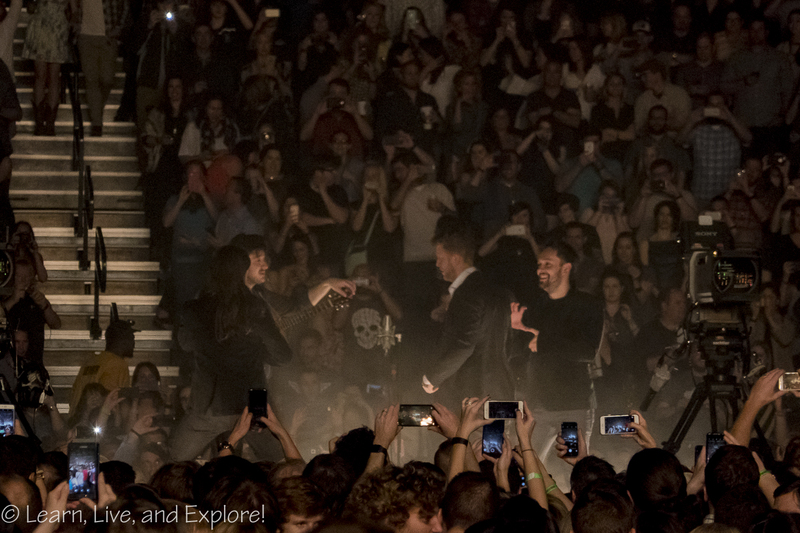 I had to sacrifice aperture and ISO as a result, which meant that processing the photos took awhile. 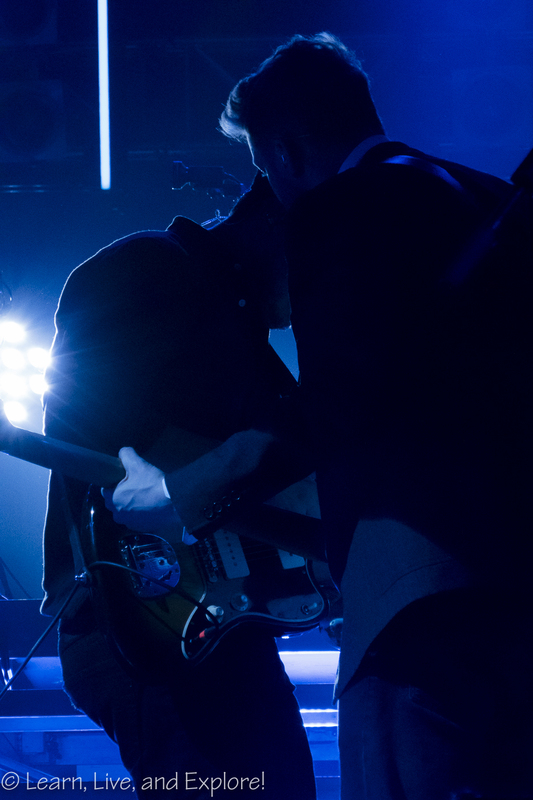 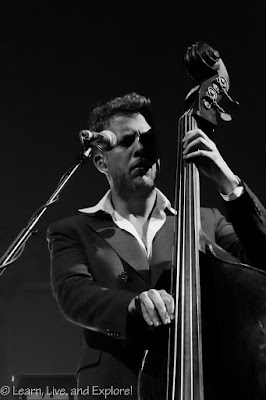 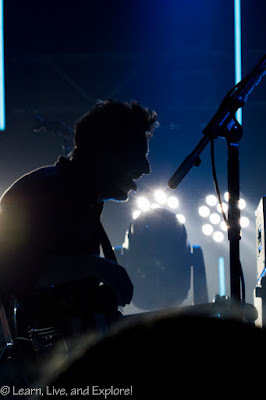 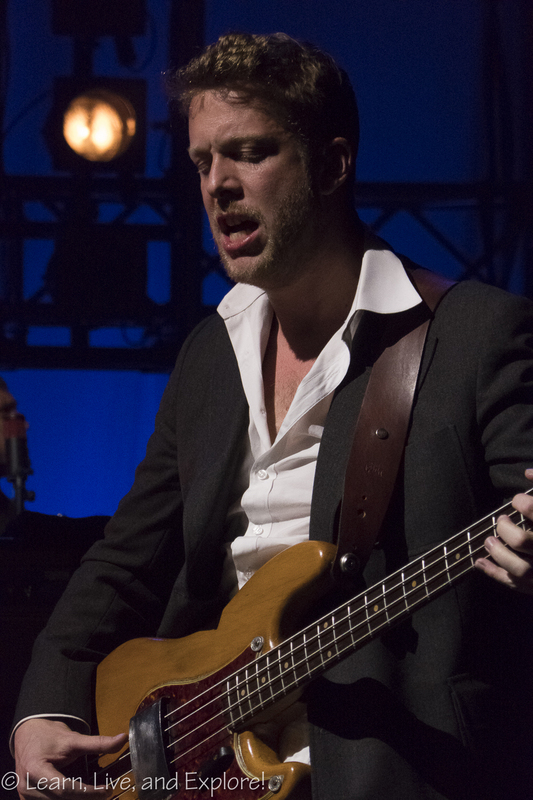 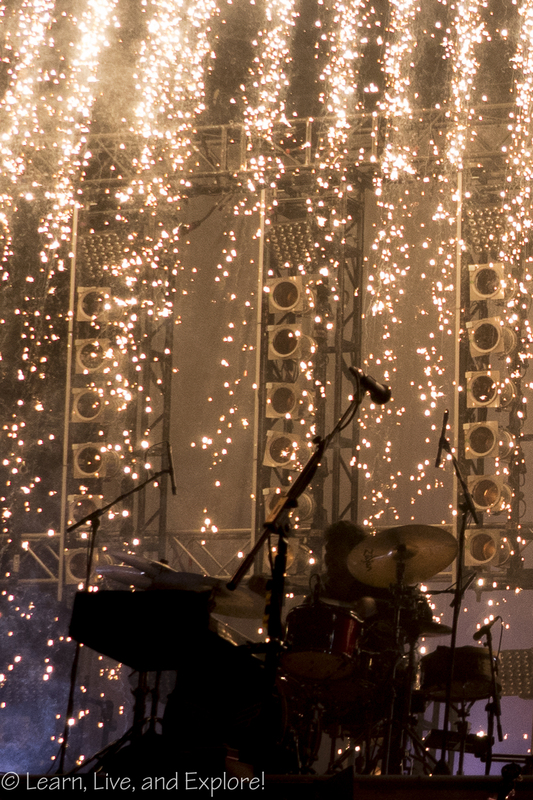 I've discovered that the best photos from concerts occur when the stage lighting is cool - blues or whites. 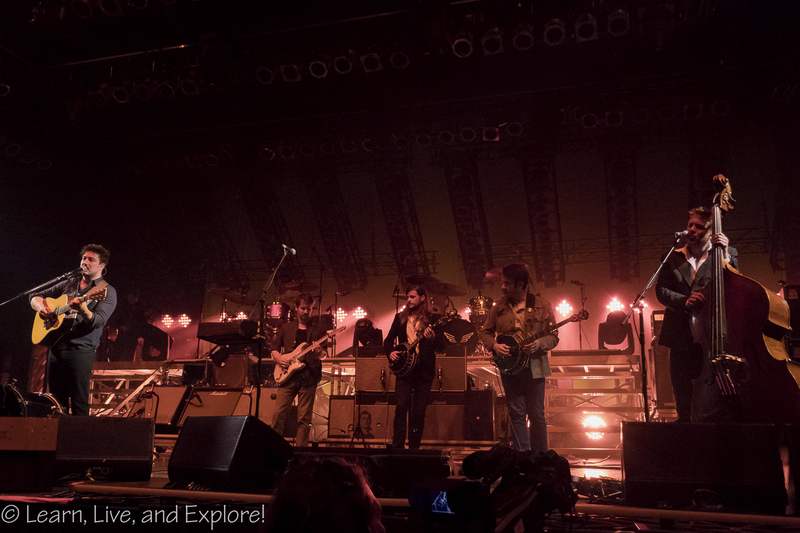 Reds and yellows must challenge the auto focus algorithm because a good majority of those photos were blurry. 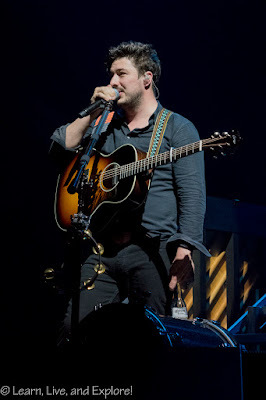 Finally, I can't forget to add a few Nashville notes. 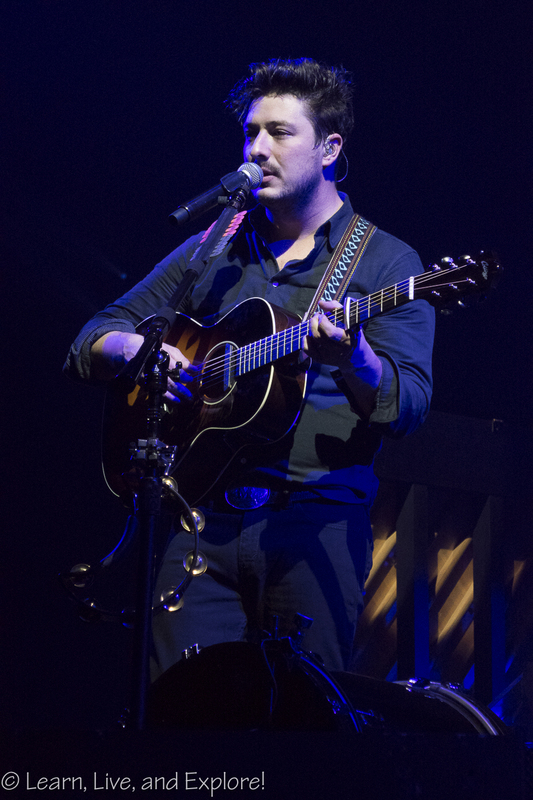 It wouldn't be a trip to Nashville without some good food. 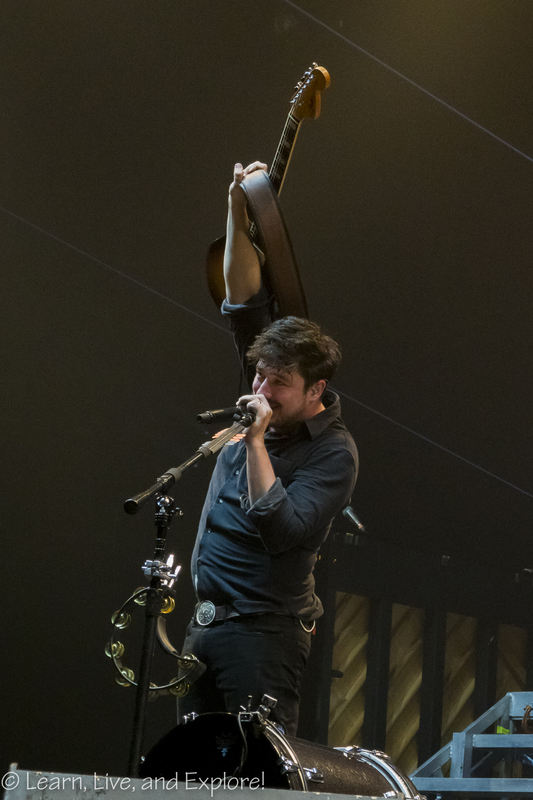 We found ourselves waiting in a line that stretched out the door at Peg Leg Porker BBQ, and you know when the line is consistently that long, you're going to get some good pork! 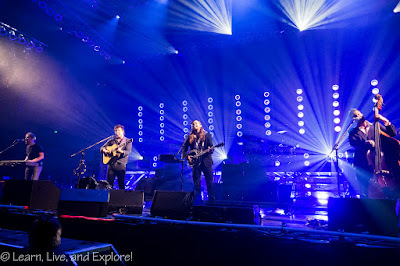 We were not disappointed! We also made a pilgrimage to Pancake Pantry for breakfast, tried some Mexican food in The Gulch, and tasted some local craft beer. 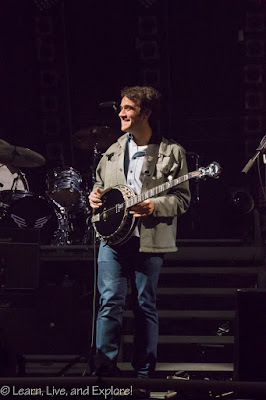 Some time being touristy on Broadway rounded out the weekend nicely. 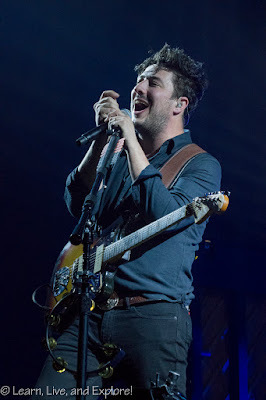 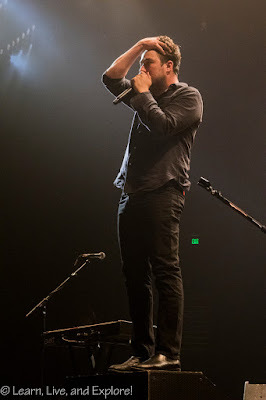 And now, two days later, I finally finished reviewing and processing the 400+ concert shots, whittling them down to under 100, and all videos have been uploaded to YouTube. Here are the promised photos, with the videos following. Oh, and Noam Pikelny from Punch Brothers came out to play banjo with Winston during "Awake My Soul"! 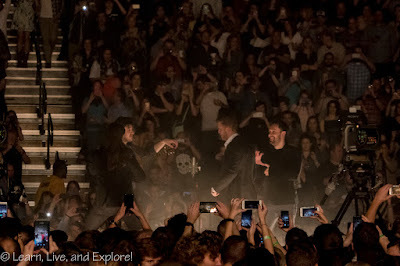 The first of several guest surprises that night! 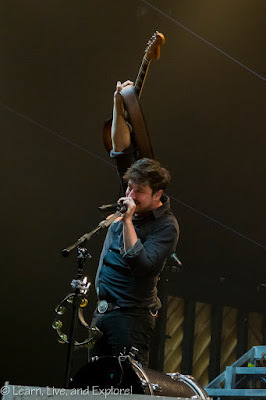 It's not like there aren't plenty of Nashville residents to invite, but I'm glad they chose the ones they did. 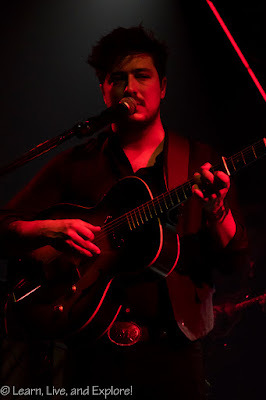 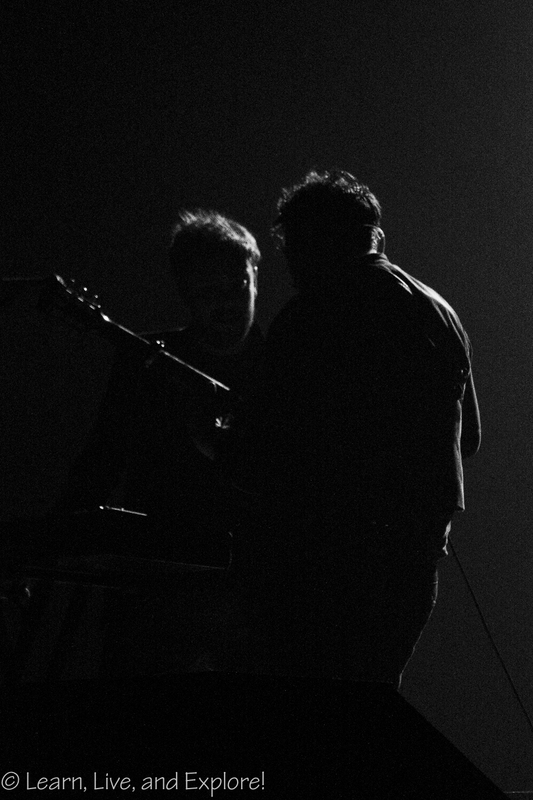 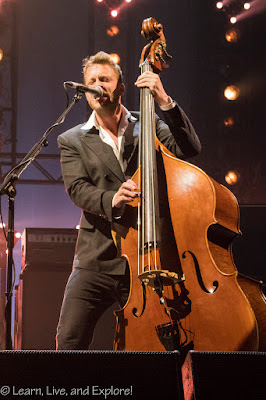 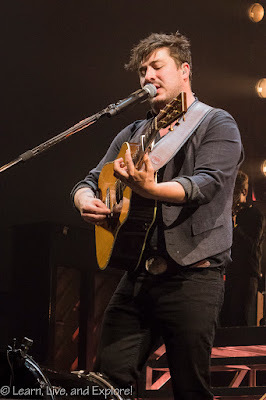 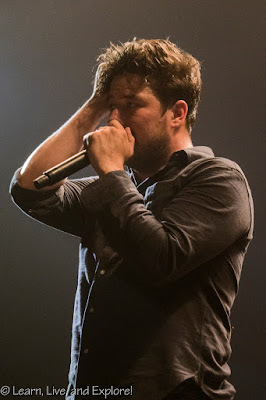 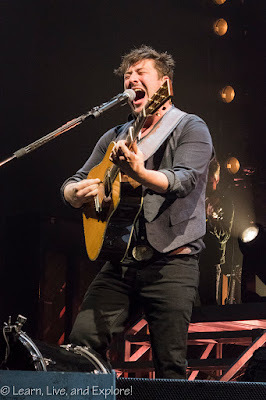 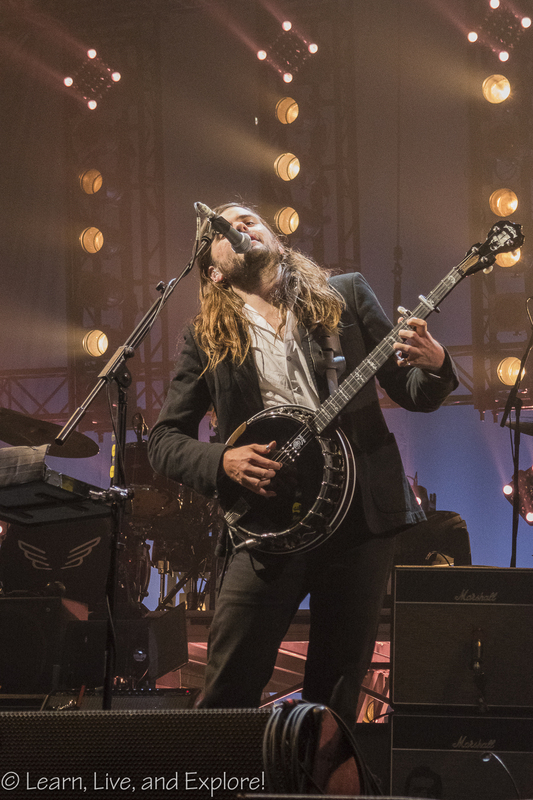 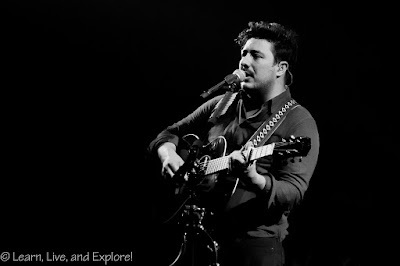 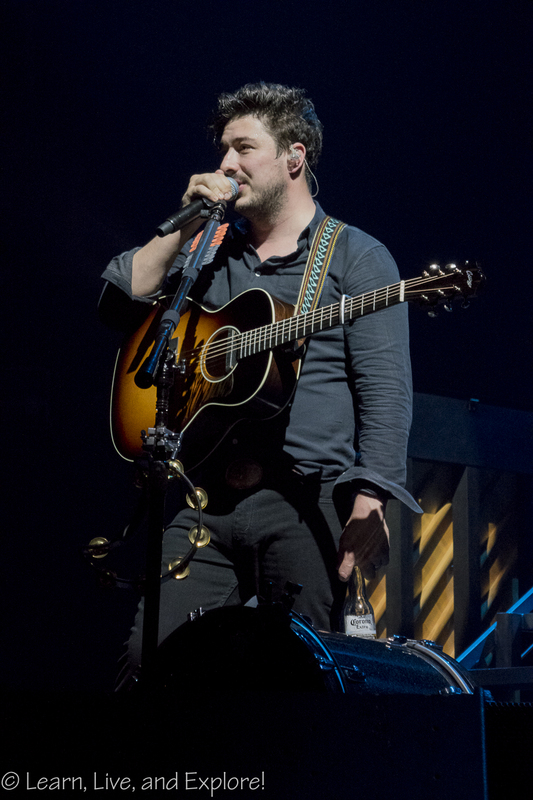 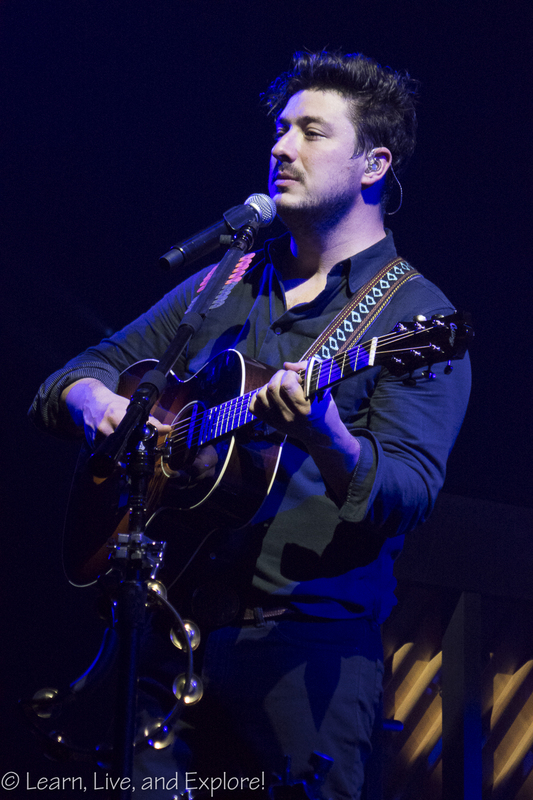 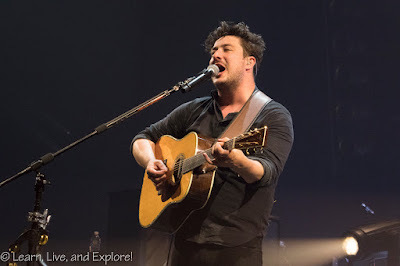 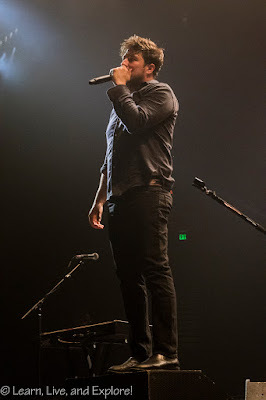 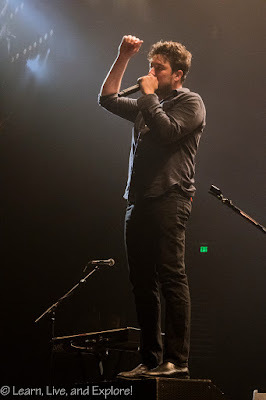 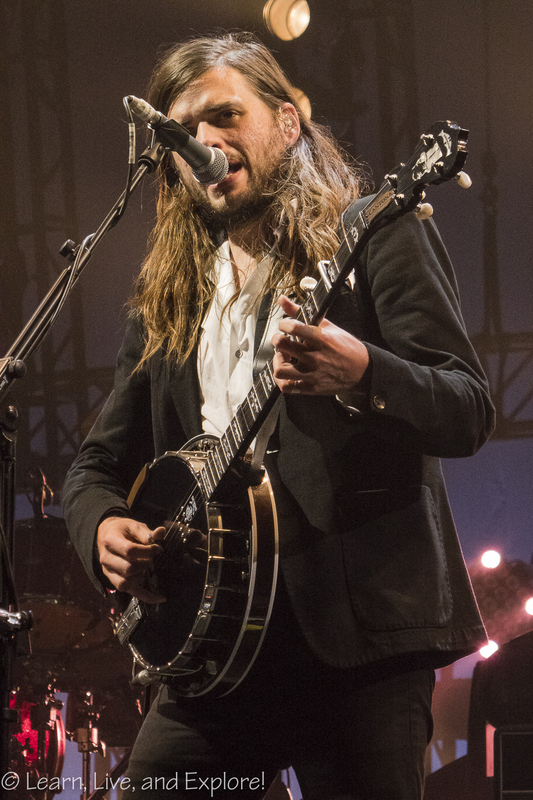 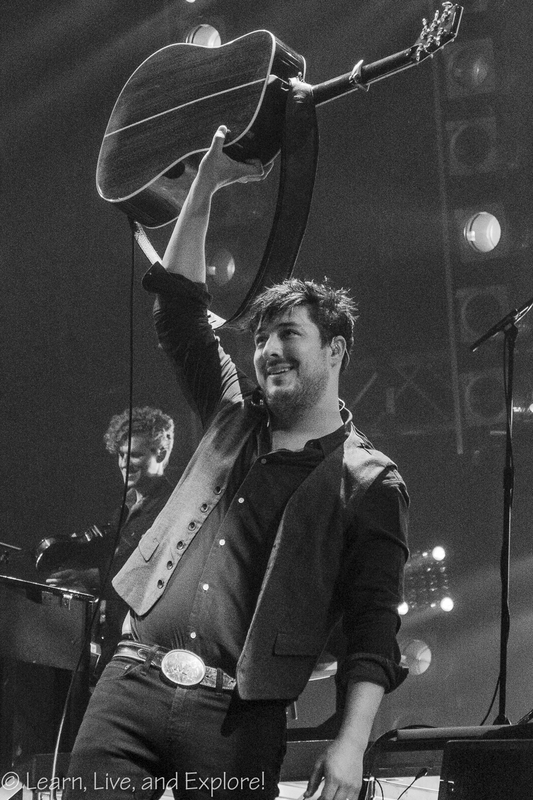 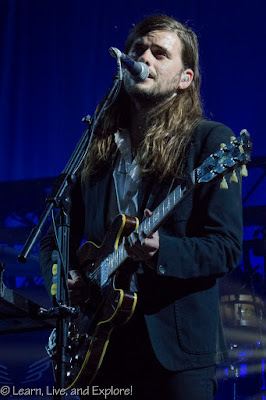 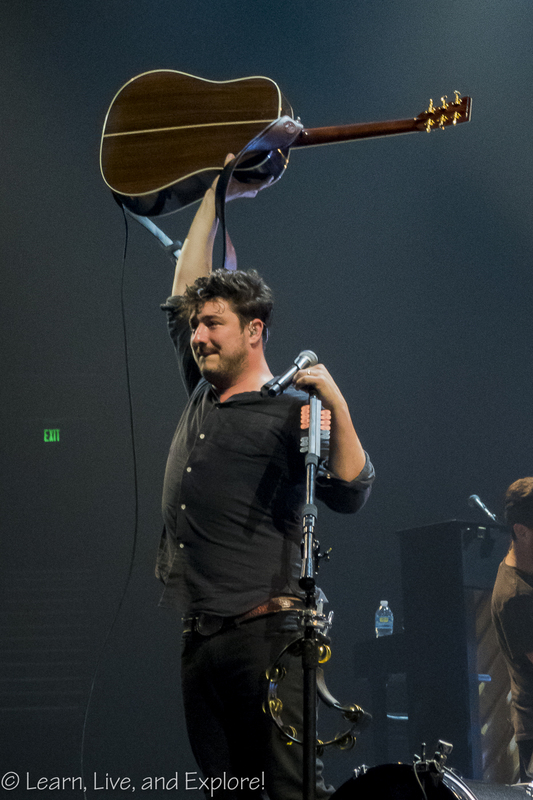 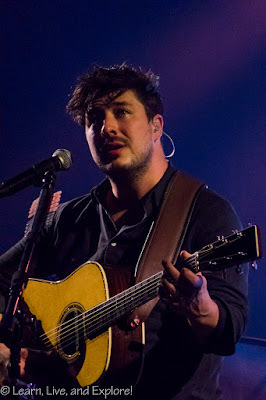 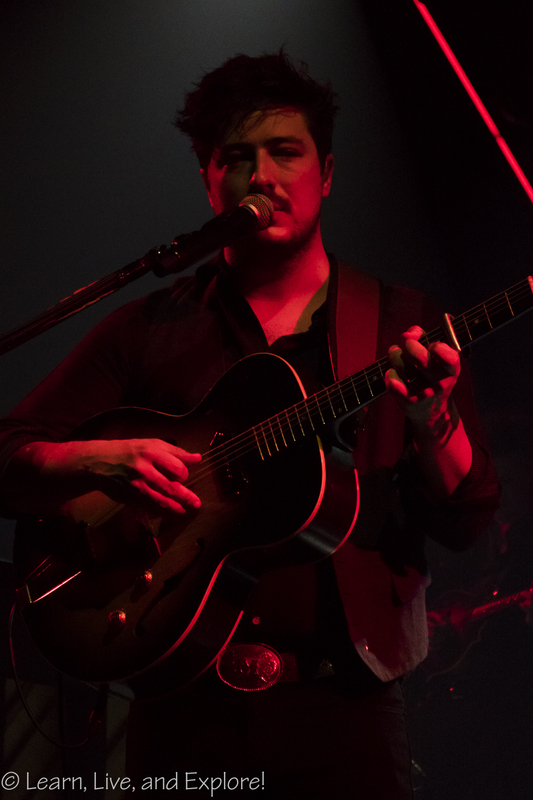 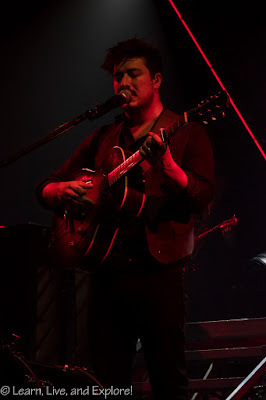 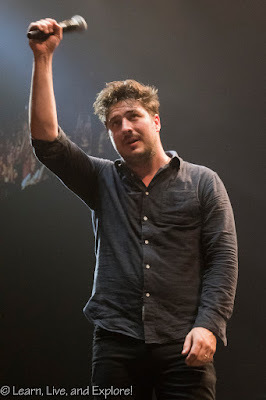 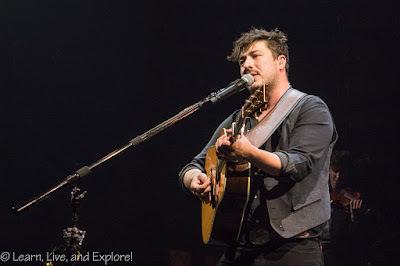 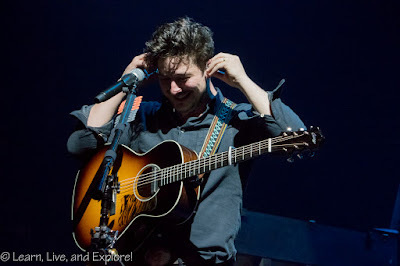 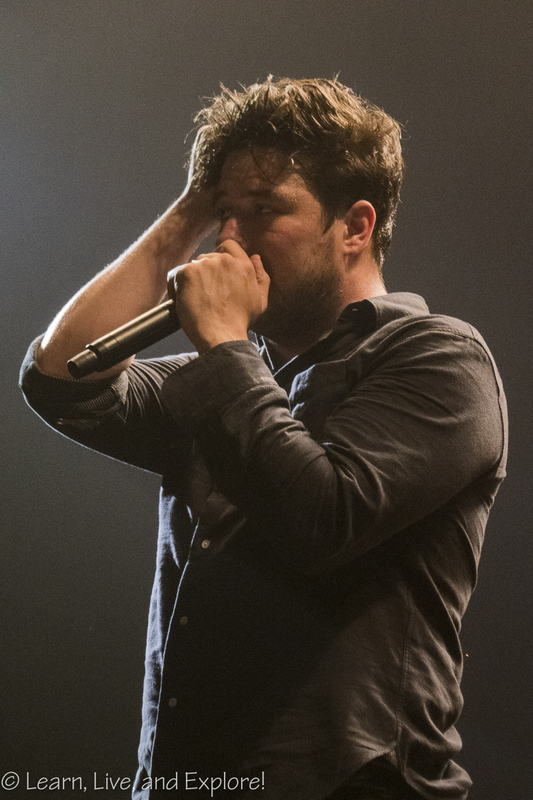 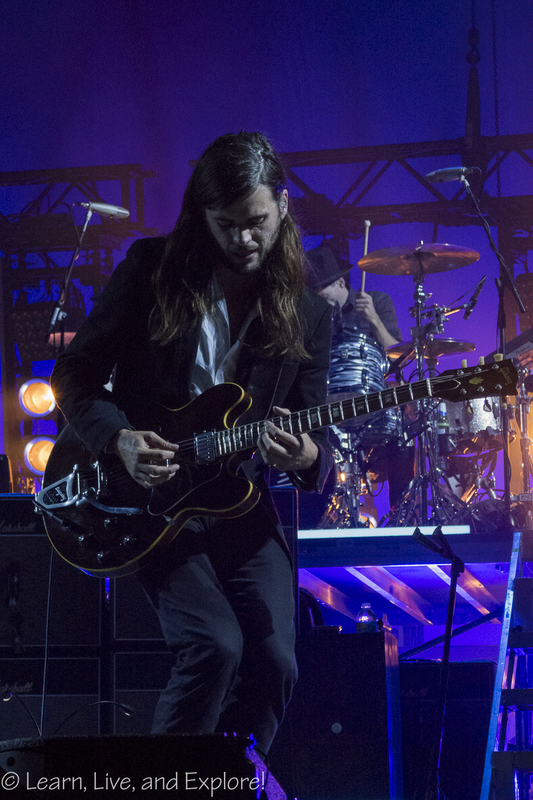 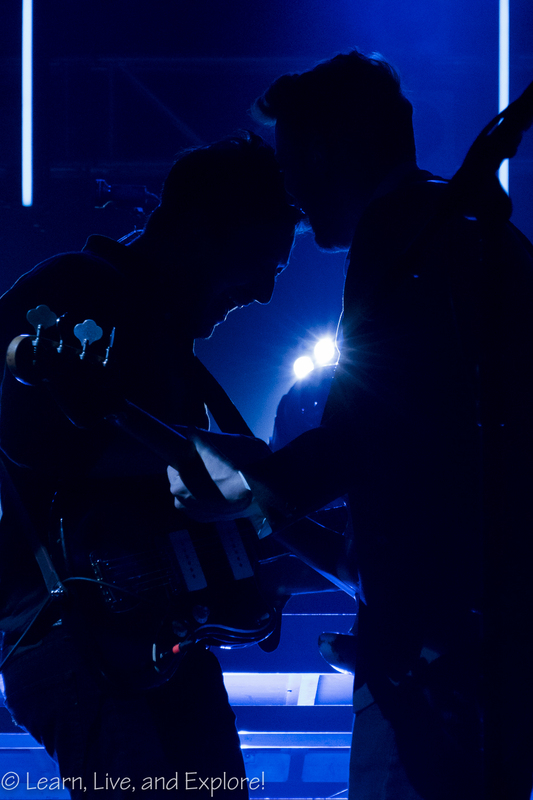 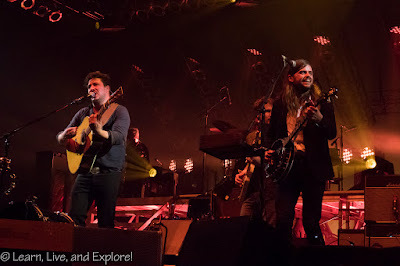 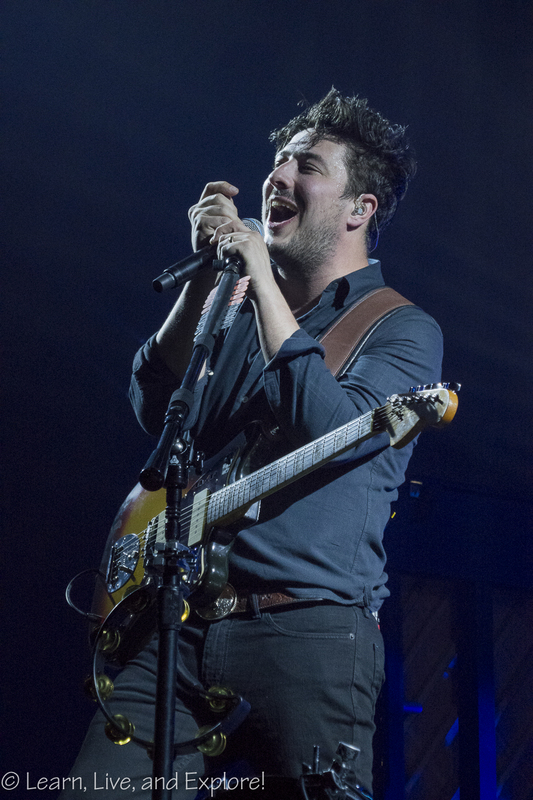 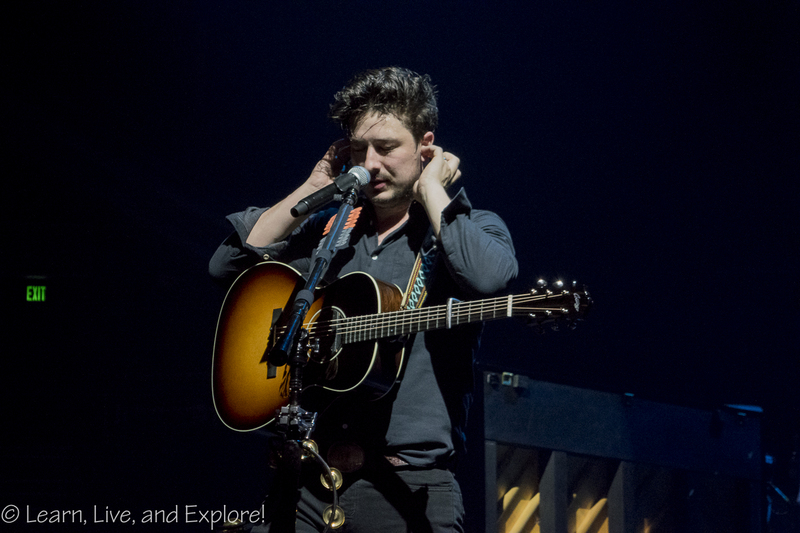 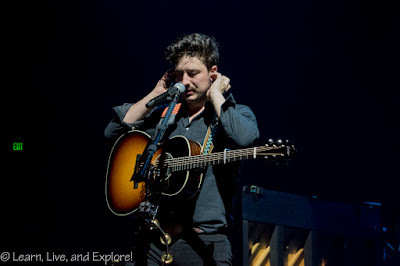 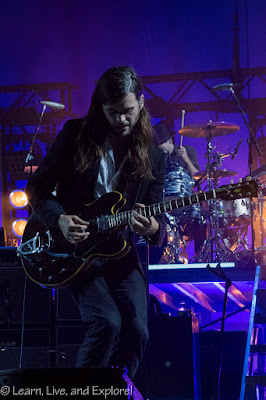 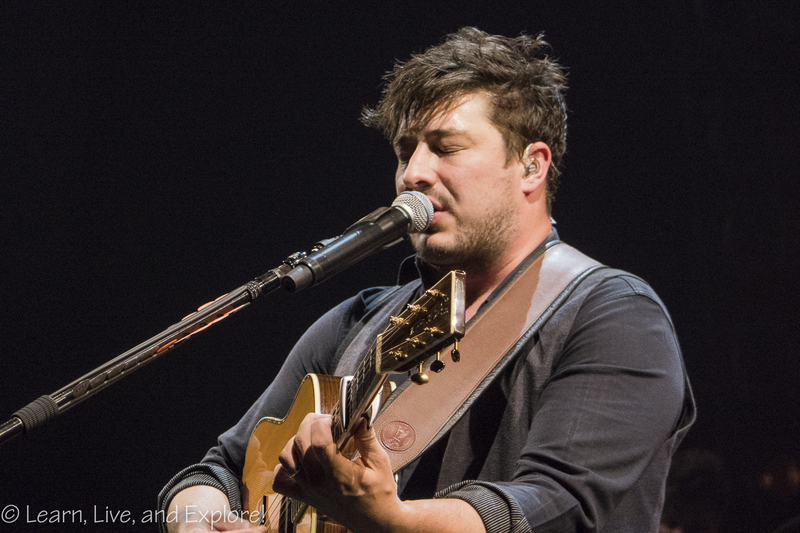 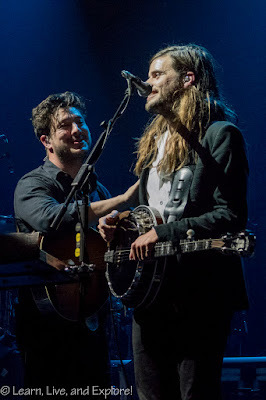 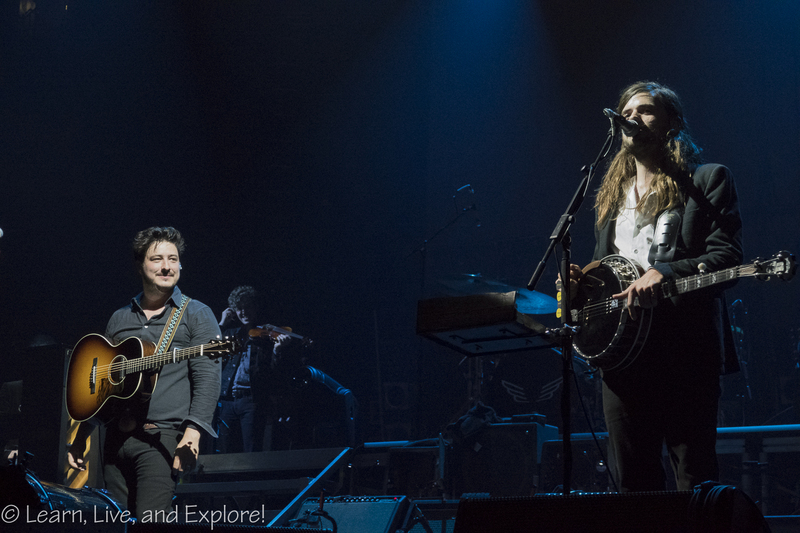 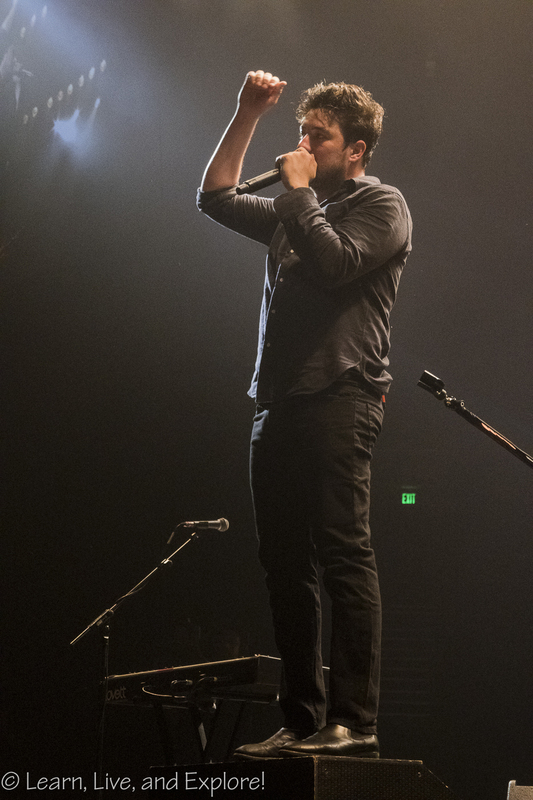 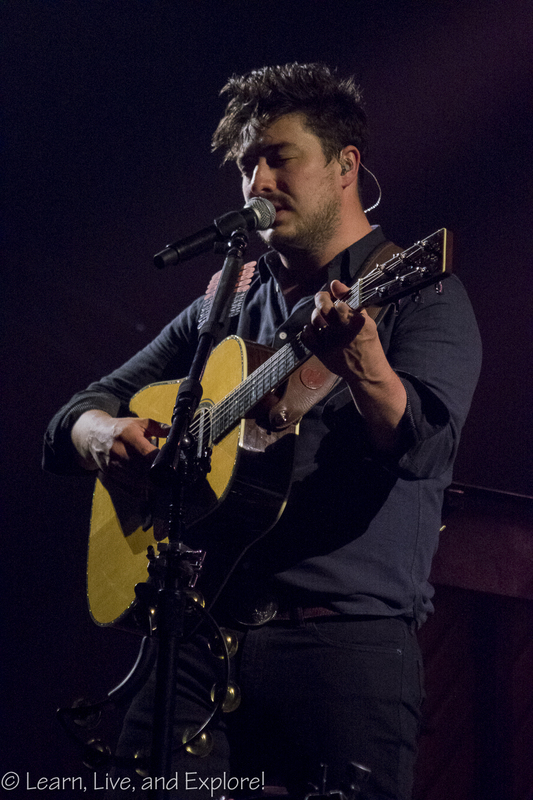 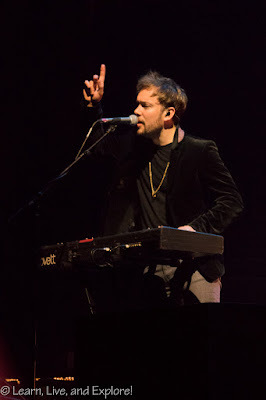 A B-Stage was set up at the back of the floor so that Mumford & Sons could do a pair of acoustic songs - "Sister" and " Cold Arms." 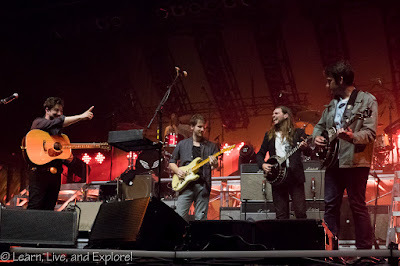 Earlier, I spoke about the surprise stage guests. In the encore, the band brought out John Oates from Hall and Oates to sing his classic song, "You Make My Dreams Come True." 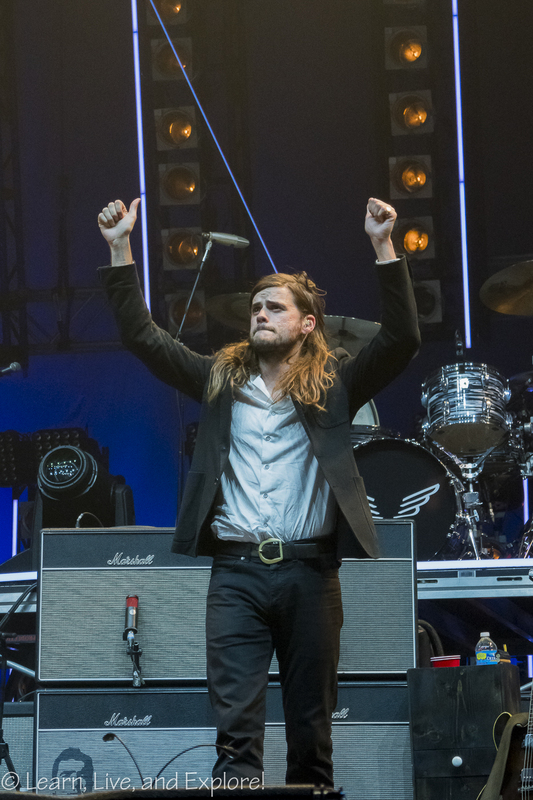 Then for a Kinks classic, "You Really Got Me," Mumford & Sons invited T. Bone Burnett and Big Kenny from Big and Rich on the stage. Of course, I got video of those two performances and a couple of other favorites. Enjoy! 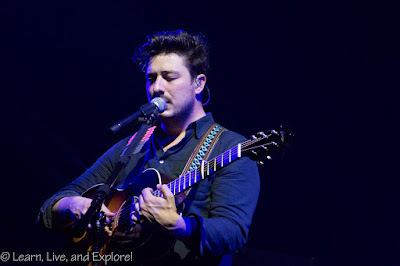 Happy to know about this event. 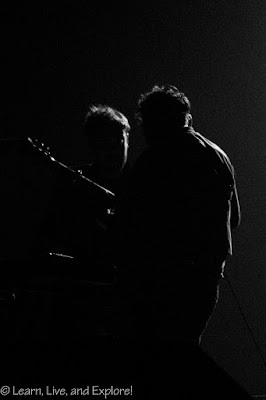 Thanks a lot for these details. 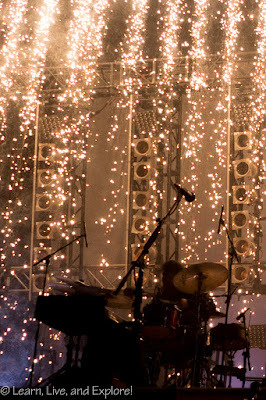 Will be attending an upcoming music concert at local event venues in Los Angeles. Have made plans to attend this event with my family. 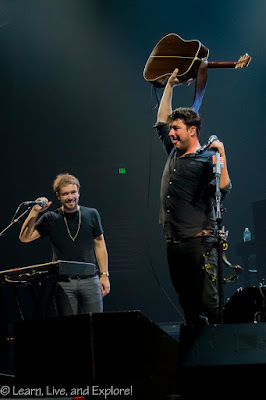 Hoping to have a great time there.